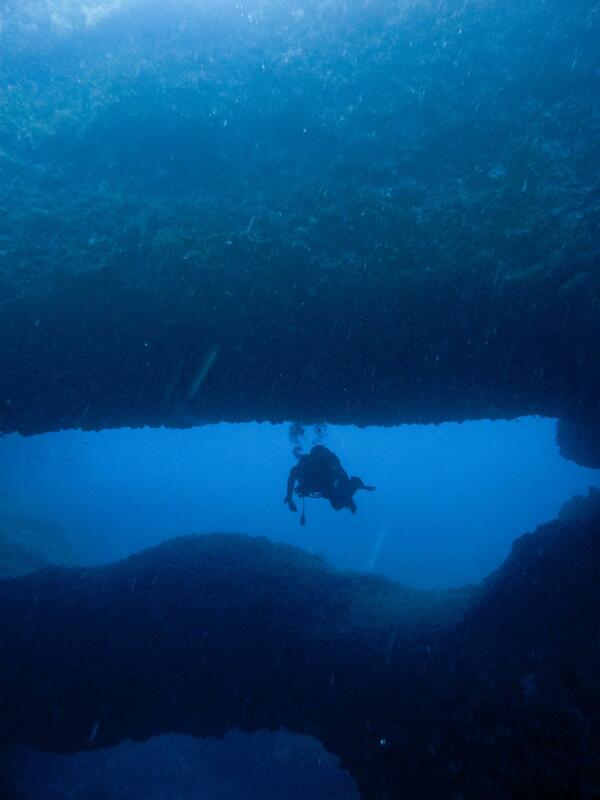 Double Arch dive site is located in Marsalforn on the north coast of Gozo. 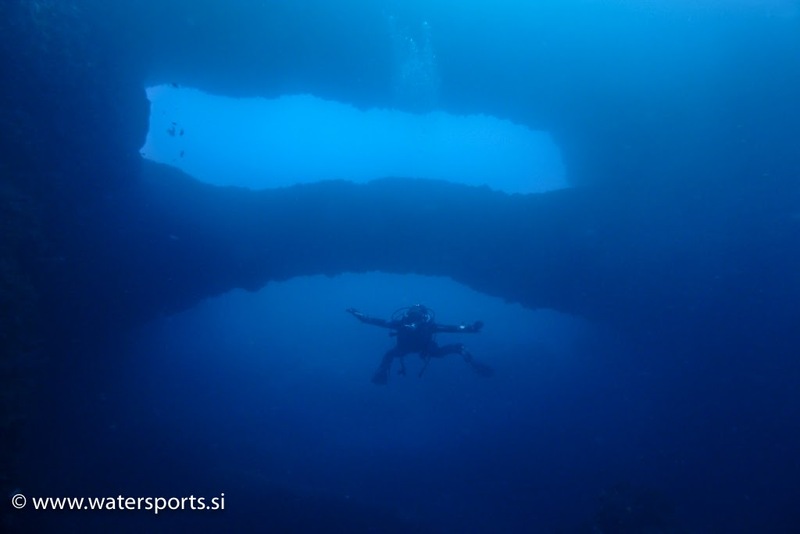 Double Arch has got it's name from two natural arches which are build on top of each other. 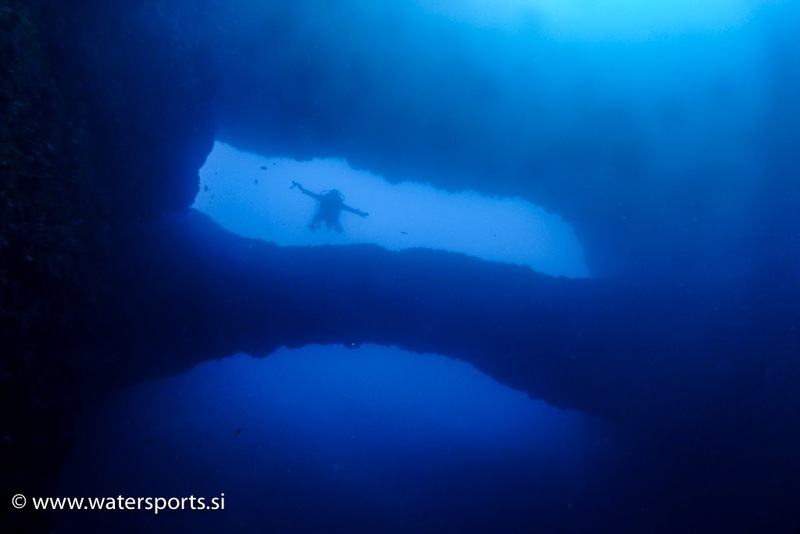 The site is accessible from shore (around 10 minute dive/surface swim from Xwejni Bay), or by boat. 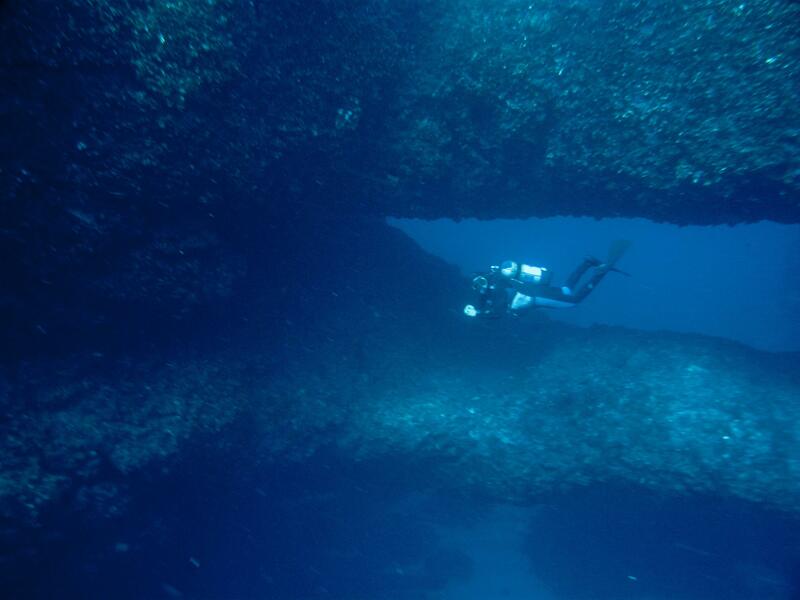 The topmost parts of the reef are at the depths of 15 to 18 m, and the arches start from 20 m deep. Under the arches depth is 34 m, and at the end of the reef 45 m. There are also some small caves near the arch and a bigger cave a bit further out. 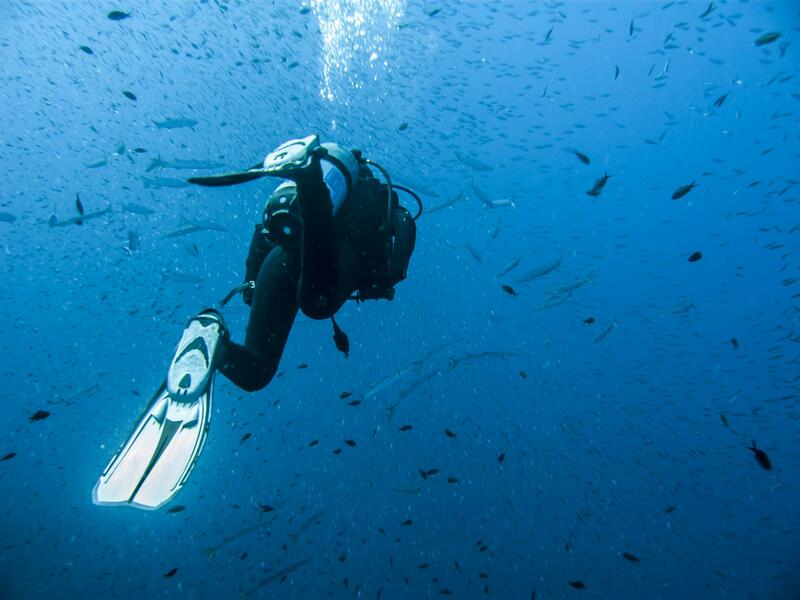 Large shoals of barracudas are often seen near the arch, and sometimes huge groupers in the deeper part. ★★★★☆ Nice arches and few times there has been really much of sea life. 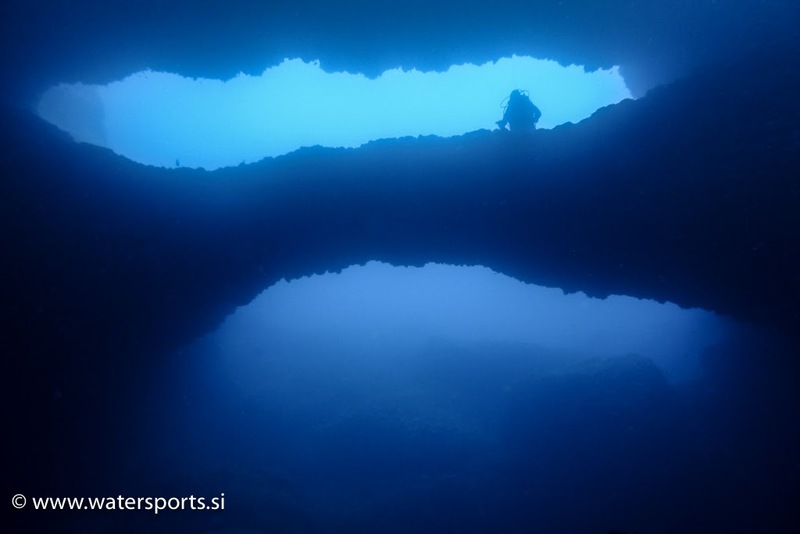 The cave(s) in the area are nice ones to check out too.